The Court found Bakke guilty and after commending her on progress made in treatment, ordered a sentence of 2 years probation with 1 year jail, imposed and stayed. BURNETT COUNTY -- The Court has accepted a plea deal for a woman facing felony 8th OWI charges in Burnett County. 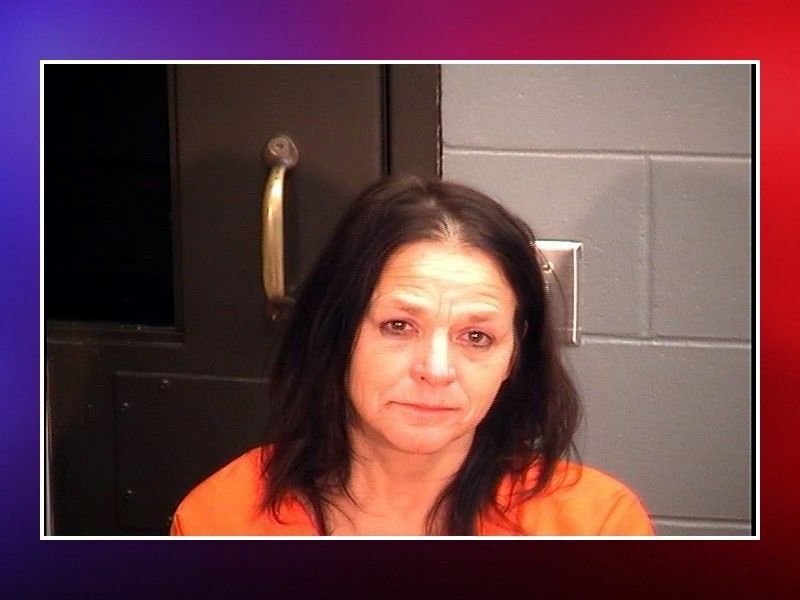 According to online circuit court records, Mary Bakke, formerly of Webster, WI, has been entered a plea and been sentenced on her criminal case in which she was facing multiple felony charges including OWI 8th Offense and Felony Possession of Methamphetamine. Bakke was charged following an incident in February 2018 when the Webster Police Department responded to a report of a possible impaired driver. The criminal complaint filed against Bakke stated that Burnett County Dispatch received a call regarding a vehicle that was all over the road and had pulled into the Minit Mart in the Village of Webster. The officer saw the vehicle back up and travel through the parking lot before colliding with another vehicle. The driver was identified as Mary Bakke. A preliminary breath test on Bakke gave a result of .00, however the criminal complaint goes on to state that Bakke told the officers she had taken prescription medication. Officers located numerous prescription medications along with methamphetamine inside Bakke’s purse. Bakke was charged with Class F Felony 8th offense Operating While Intoxicated (OWI), Class I Felony Possession of Methamphetamine, Class I Felony Possession of Narcotic Drugs, and Misdemeanor Possess Illegally Obtained Prescription. At a hearing on October 10, 2018, the Court accepted a plea deal in which Bakke plead guilty to her charge of Class I Felony Possession of Methamphetamine. Her other charges were dismissed but read in. Online circuit court records indicate that the prosecuting attorney for Burnett County stated that this case essentially boiled down to bad driving and that no warrant for a blood sample was executed. The Court found Bakke guilty and after commending her on progress made in treatment, ordered a sentence of 2 years probation with 1 year jail, imposed and stayed. Bakke was also ordered to pay over $500 in court costs. She must also maintain absolute sobriety, take prescription medication as prescribed and undergo regular drug testing. If there are any positive drug tests, Bakke will serve 90 days of conditional jail time and undergo an alcohol and other drug assessment, following all recommendations. A Webster, WI woman is facing felony charges for 8th offense OWI and possession of illegal drugs in Burnett County Circuit Court after an incident at around 9:00a on February 19, 2018, when the Webster Police Department responded to a report of a possible impaired driver. The individual who called Burnett County Dispatch reported that the vehicle had been all over the road and had now pulled into the Minit Mart in the Village of Webster. An Officer for the Webster Police Department arrived at the Minit Mart and saw the vehicle park very close to the Minit Mart building. The officer then saw the vehicle back up and then travel through the parking lot until it collided with another vehicle. The driver was identified as Mary Bakke. According to the criminal complaint filed against her in Burnett County Circuit Court, when the officer had Bakke exit her vehicle, she had a hard time standing. Bakke told the officer that she had not been drinking. Another officer arrived on scene to provide assistance and a preliminary breath test was conducted with Bakke. The criminal complaint goes on to state that the result was .00. The criminal complaint goes on to state that Bakke told the officers that she was currently taking Gabapentin as prescribed by her doctor. She stated she had taken a dose at around 7a that morning. Bakke had difficulty remaining upright, and according to the criminal complaint, she seemed confused and had trouble speaking. She also told the officers that she was very cold and that she was in a lot of pain from her back. Bakke was placed under arrest and transported to the Burnett County Medical Center for an evidentiary blood draw, however Bakke refused to comply with the blood draw. She was then transported to the Burnett County Jail. While booking Bakke into the jail, a Jailer located a prescription bottle inside Bakke’s purse. According to the criminal complaint inside the bottle were an assortment of pills including Methocarbomal, Hydrocodone-Schedule II Narcotic, Methylphenidate - Adderall-Schedule II Narcotic, and Lorazepam. Officers also found Methamphetamine inside the bottle. The criminal complaint goes on to state that Bakke has previously been convicted of OWI on November 5, 1990 in the State of Arizona; on January 31, 1995 in the State of Arizona; on January 12, 2000 in Burnett County; on June 28, 2001 in Burnett County; on December 11, 2002 in Burnett County, on June 29, 2009 in Washburn County, and on July 25, 2013 in Burnett County. Bakke is charged with Class F Felony 8th offense Operating While Intoxicated (OWI), Class I Felony Possession of Methamphetamine, Class I Felony Possession of Narcotic Drugs, and Misdemeanor Possess Illegally Obtained Prescription. Online circuit court records show that she appeared for a bail bond hearing on February 20, 2018 and was placed on a $750 cash bail bond.